Bob Fountain established Aston Workshop in 1988. Four years in gestation, this specialist car sales and restoration company grew out of Bob's interest in restoring Aston Martin cars to the highest possible specifications. Looking at the global business that exists today, its hard to believe that the whole thing started in Bob's barn. 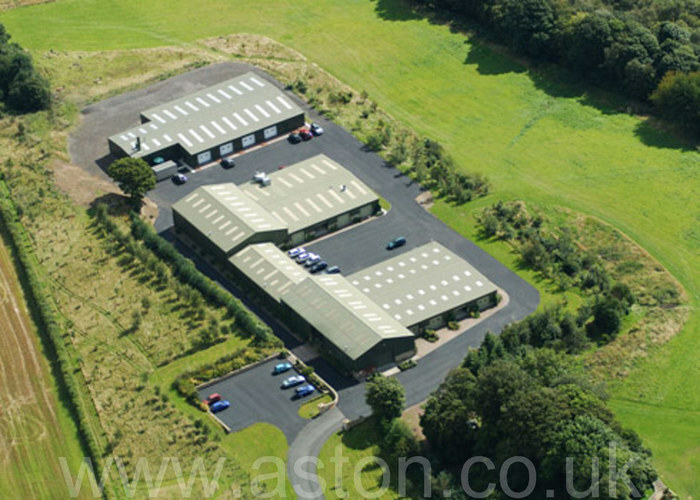 To call the facilities at Aston Workshop "impressive" would be a considerable understatement. 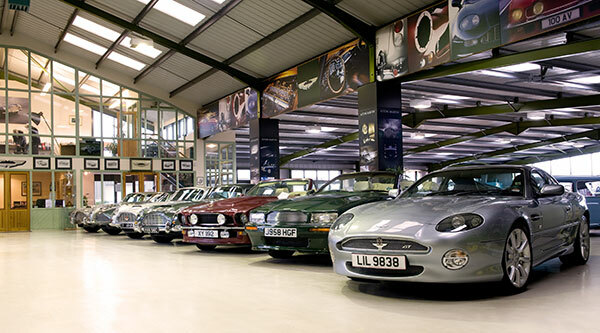 From the moment you enter our large showroom (featuring an average of 35-40 classic Aston Martins at any given time), its evident that we are no ordinary Aston Martin specialist. Moving through the premises, we pass the Aston Martin approved service reception. This is a very modern reception area which along with the dedicated Aston service bays allows Aston Workshop to offer servicing and warranty work to any model of Aston Martin ever produced, from the very first pre-war cars to the latest supercars. Next, we move on past the huge parts store to the restoration workshop, this is the heart of the company where our world famous restorations are completed, and it is a genuinely astonishing place to be for anyone interested in automotive history and engineering. With between 12-15 restorations taking place simultaneously including engine re-builds, trim, electrical re-wiring etc. its difficult to take it all in. Finally, a state-of-the-art paint, bodywork and chassis facility is in a separate block to the rear of the workshop, this not only supplies the restoration facility but also deals with crash repairs and one-off paint repairs etc. All in all, an incredible place to visit and one which has to be seen to be believed, Aston Workshop is tucked away in the Durham countryside, almost hidden from view, yet providing one of the world's most comprehensive facilities for restoring some of David Brown's most beautiful creations. A business whose reputation has grown by word of mouth, Aston Workshop has become synonymous with superb craftsmanship, together with the production of impeccably restored Aston Martin cars. Perhaps the most impressive aspect of any visit, however, is getting to know the people who work here. A dedicated and friendly team of professionals who are passionate about every aspect of what they are doing, it is easy to see why the company has such an enviable reputation worldwide. Aston Workshop is a one-stop shop for all things Aston Martin, from a tax disc holder to a complete re-creation of a DB4 GT Zagato and all things in between, you'll find it here. We even have a dedicated art website, specialising in Aston Martin prints and sculpture! We pride ourselves on being able to meet just about any request the client might have. If the necessary parts or methods don't already exist, we will either re-fabricate obsolete parts or design and fabricate a solution in-house. We have a genuine 'can do' approach which has led to the development of a range of enhancements and upgrades for the classic owner. These enhancements allow the client to fully enjoy classic ownership while discretely 'modernising' the car to give it better performance, reliability, comfort and safety. 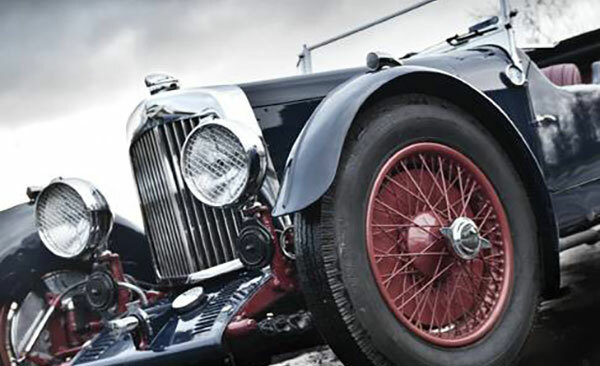 The team at Aston Workshop take great pride in keeping this iconic legend alive, and through a combination of ingenuity, expertise, dedication and downright dogged determination they succeed on every level. Whether you are buying, selling, upgrading or restoring your beloved Aston Martin, there can surely be no better team to assist you in your goal.